FF/EMT Kevin Swain of MVFD was one of the several wounded after being shot multiple times. Brother Ulmschneider was fatally shot in the upper torso. Rest In Peace John Ulmschneider. Kevin, your perseverance is an inspiration to us all. The runs included a building fire, a tragic fatal vehicle accident, a fatal shooting, multiple other motor vehicle accidents, and medical emergencies. Our banquet was held at the FOP in Alexandria. We followed with our awards ceremony. Congratulations to everyone who received an award! Thank you to everyone who helped make this past year a success! Charlie was a current Board of Director, past Chief and President of the MVFD, past Board of Director of the Prince Georges County Volunteer Fire and Rescue Association, past Fire Commissioner of the Prince George’s County Fire Commission, and past President of Local 1619 of the International Association of Fire Fighters. Looking for a once-in-a lifetime opportunity? Invaluable experience? Lifelong friendships? Endless educational and professional opportunities? 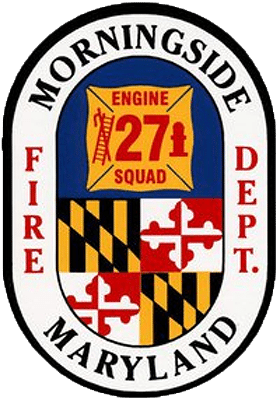 The MVFD is excited to announce our 2019 live-in recruitment weekend. Rescue Engine 827 was the search company. Great job to all the companies for working together to quickly contain and extinguish the fire. In 2018, we logged 95,200 hours of participation in 7,562 responses. MVFD attended Smiths Junkyard for extricating training. This training consisted of practicing scenarios for different type of motor vehicle accidents and other techniques on multiple cars. hese individuals and their efforts are indicative of our memberships desire to serve and quest for additional opportunities to do the same. We are proud of them and their commitment to our organization. They all banded together and helped re-tile our live in trailer, install smoke detectors around the community, cleaned the station, organized paperwork, and painted the bay walls.